Stigma sticks to a lot of people who suffer with Mental Health Issues. 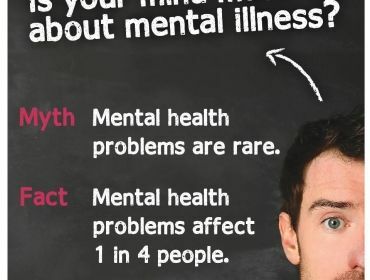 Not only do they have to put up with the difficulties of their Mental Health Issues, they are challenged by the stereotypes and prejudice that result from misconceptions about mental illness. 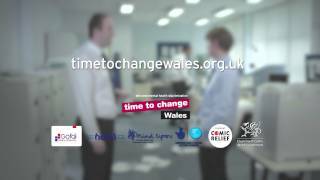 ‘Time to Change Wales’ is the first all Wales, comprehensive campaign to challenge stigma and discrimination that people with mental health problems can face. Building on the success of ‘Time to Change England’, the campaign has been funded for three years by the Big Lottery Fund, Comic Relief and the Welsh Government. ‘Mind Cymru’ is very proud to work alongside Hafal and Gofal as the three charities leading ‘Time to Change Wales’. Improve public attitudes towards people with mental health problems by 5%. Reduce the number of areas of life in which people experience discrimination. Increase the confidence and ability of people with mental health problems to address discrimination. ‘Time to Change Wales’ wants to get as many people; with or without mental health issues – to pledge time to help make a change. 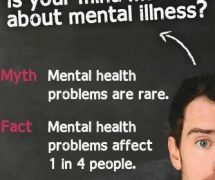 Mental health problems affect one in four people. People with mental illness are more likely to be a victim of violence than actually be the violent person. Whether you have a mental health problem or not, you can challenge discrimination simply by improving your knowledge about mental illness and having a conversation about mental health. The fact that it’s sometimes difficult to talk about mental health problems can be one of the hardest parts of having a mental illness. Whether it’s fear or awkwardness about talking to someone we know about their mental health problem – or talking about our own mental health problem, reluctance to talk about mental health isn’t good for anyone. A few small words can make a big difference. Don’t be afraid to talk about mental health. Leading ‘Time to Change’ at the highest level, by being part of the TTCW governance board. Sitting on project and evaluation steering groups. Applying for the grants scheme (as part of a group or organisation) which will fund 75 projects that bring people with and without mental health problems together to drive attitude change in their communities. Raising awareness in local communities throughout Waales, with tools and tips for support. Reviewing large organisations’ practice around mental health; and helping to develop tools for workplace ‘healthchecks’. Speaking out in the media to take the message to a national audience (if this is of interest to you, then please sign up to be a media volunteer). Taking part in and delivering training. Organising or taking part in events.